Imagine waking up to sweeping views of the majestic Rocky Mountains in your luxury resort, where you will have access to amenities and services that will make your vacation truly unique. Vacatia can help make this fantasy a reality, as Vacatia provides travelers with high-quality vacation rentals in some of the world's most in-demand destinations, such as Vail and Beaver Creek. Whether you are traveling to these Colorado hotspots in the summer or the winter, you should rely on Vacatia to book your stay at one of the best luxury resorts in Vail or Beaver Creek. Both Vail and Beaver Creek are widely known as some of the best ski resorts in the country, which is why there are so many options for lodging in these charming mountain towns. Don't let yourself get overwhelmed during your search for the perfect accommodations in Vail or Beaver Creek - instead, let Vacatia help you quickly and easily find the perfect luxury lodging in Beaver Creek or Vail for your upcoming mountain getaway. When you stay at one of Vacatia's luxury rental properties during your time in Vail or Beaver Creek, you are sure to create lasting memories in the beautiful mountains of Colorado. As home to some of the best skiing in the country, Vail and Beaver Creek are extremely popular winter destinations for skiers and snowboarders. Nestled in picturesque mountains in Colorado, both Vail and Beaver Creek boast charming towns and an abundance of natural beauty. You could soak up all that these wondrous mountain destinations have to offer when you stay at one of the best luxury condo rentals in Vail or Beaver Creek. Thanks to Vacatia, you could stay in a high-quality rental property that combines the comforts of home with the luxury of vacation. Vacatia's unique vacation rentals feature the added space and comfort of a home, including a fully equipped kitchen, as well as the luxury services of a resort. So if you want to experience the best of both worlds during your time in Colorado, let Vacatia help you plan your Vail or Beaver Creek vacation by providing you with an exceptional selection of luxury vacation rentals. 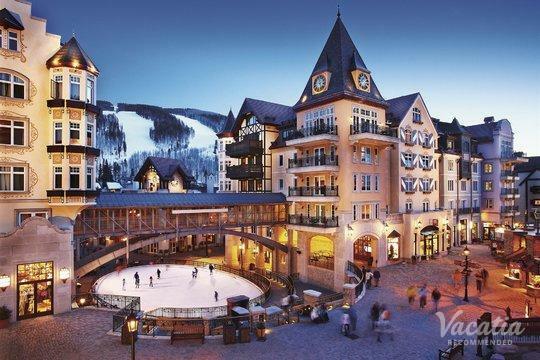 Nestled in the majestic Rocky Mountains, Vail and Beaver Creek boast world-class skiing and idyllic mountain towns. Beaver Creek hosts the annual Birds of Prey Men's World Cup, a premier ski event at which some of the world's best professional skiers compete. Similarly, Vail is regularly ranked as the best ski resort in the country, which is why so many skiers and snowboarders travel far and wide to enjoy Vail's manicured trails and slopes. If you want to experience the most of these Colorado winter wonderlands, you should work with Vacatia to book your accommodations in Vail or Beaver Creek. When you let Vacatia help plan your mountain getaway, you can rest assured that your luxury resort rental will quickly become your unforgettable home away from home.